Want a private lake resort in your own backyard? 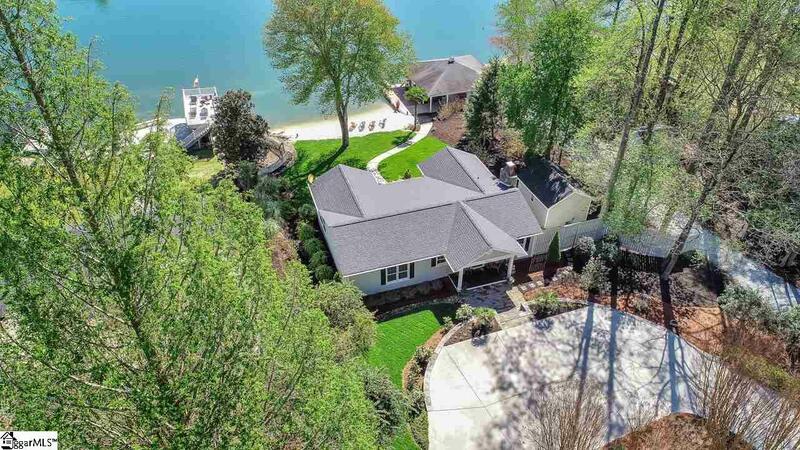 This property is everything you need plus more, and its half the price of Lakes Keowee and Jocassee! From the minute you pull into the driveway, you will instantly know that lake living is the way you were meant to spend your life. The attention to detail on this carefully maintained yard does not go without notice. The beauty is evident within seconds of setting eyes onto this lot that is nestled perfectly on this tucked away gem know as Lake Cherokee. The private 162 acre lake is surrounded by 55,000 acres from Sumter National Forest with breathtaking mountains overlooking the beautiful blue water. With managed fisheries, no boat size or horsepower limits, and a controlled dam that prevents any flood zone issues, your summer days can be filled with endless water skiing, wakeboarding, and tubing with all your family and friends. 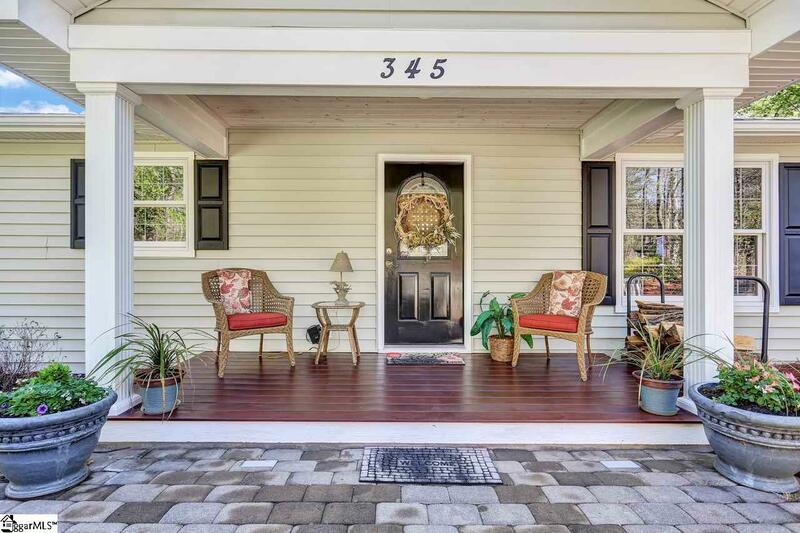 Once you step foot into this quaint home, you will never want to leave. This 3 bedroom, 2 bath, all on one level, has everything one should need to live in paradise. Im only scratching the surface to all the amenities this home has to offer with the open concept, eat in kitchen, and perfectly laid out floor plan. 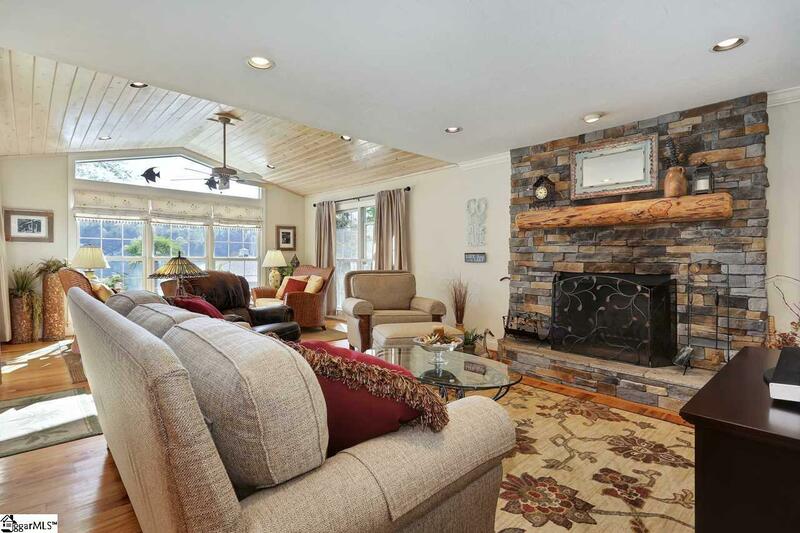 You truly cannot get much better than the airy sunroom which overlooks the lake during those chilly or too hot to enjoy lake days, and the nice wood burning fireplace with the option to tap into the gas line which is only an added bonus. The relaxing 16ft x 14ft screened porch right off the Master gives you countless opportunities to enjoy coffee or a great book. Dont forget the best feature of them all: the spacious back deck which is perfect for entertaining guest while everyone is enjoying the 60ft white sandy beach that is the ONLY beach of its kind on the entire lake! Did I mention the yard was fully irrigated, plus the property comes with a 16ft x14ft workshop with power and a 14ft x 14ft storage building with garage and entry door? 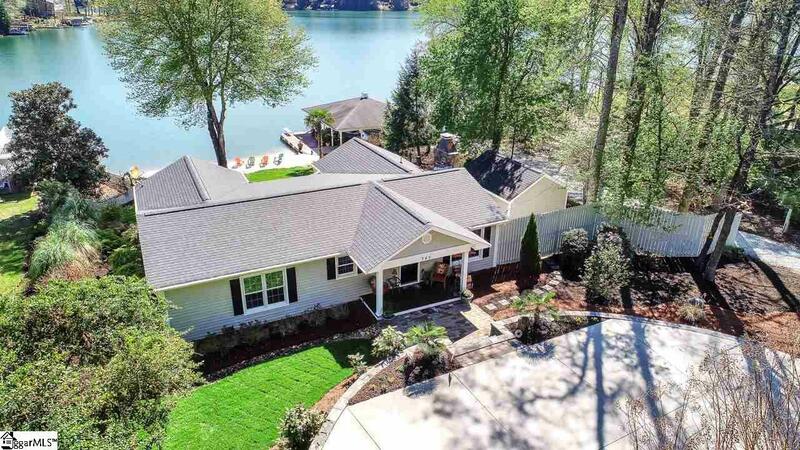 The outside area only gets better with the unbelievable boat dock containing 2 slips and 2 boatlifts all with an extra storage room and entertainment space! Some other exceptional features include the diving board off your private boat dock, a new roof and water heater that were installed in 2018, and a nice concrete circular driveway that gives plenty of parking for all your guest. Trust me when I say that is by far the best lot on any private lake in the Upstate! You will not find another property that is as beautiful as 345 Jumping Branch Road in Tamassee. Contact me today for a showing! This is one that you need to see for yourself and I promise you wont be disappointed! Listing provided courtesy of Britni Ream of Modern Real Estate Consultants.